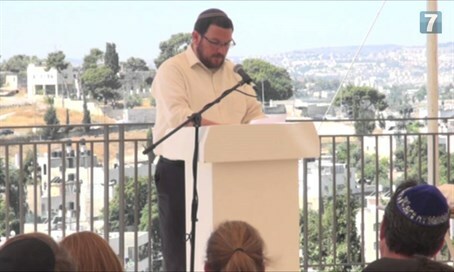 Beit Orot Executive Director reads letter by Prime Minister Netanyahu at funeral of Dr. Irving Moskowitz. At the funeral on Monday of American-Jewish philanthropist Dr. Irving Moskowitz, Beit Orot Executive Director Shlomo Zwickler, who was one of the main organizers of the funeral, read a letter written by Prime Minister Binyamin Netanyahu. “His great love for and contribution to our Holy City can be seen in many of Jerusalem’s neighborhoods and landscapes. Irving will be remembered in Israel with the deepest appreciation and gratitude,” wrote Netanyahu. The Moskowitz Foundation, founded by Moskowitz and his wife Cherna, “has translated the most noble Jewish values of mutual responsibility, solidarity and compassion into concrete action on behalf of needy people worldwide,” wrote Netanyahu. “With Irving’s passing the people of Israel have lost a dear friend. Sara joins me in extending our heartfelt condolences to you and your entire family. May Irving’s memory be forever blessed and may you be comforted among the mourners of Zion,” concluded Netanyahu.